I landed on "outdoor" and "building" for the current tag challenge. Soooooo- you get a picture of our shed. The sign on the side of it was from my dad's general store in Middlesex Vermont. Jeff and I made it for him one Christmas. After his passing we brought it back here. What nice composition and tones - and I love the sign! I love the editing, you have made a rather mundane shed look so interesting. I call this photo art. Very nice and creative. Great shot and beautiful processing on the pic. Very cool and I love how you framed it. Beautifully processed. I love the colors. Nicely framed. Like the yellow colour. Great to see you've kept the sign Ann, such a great memoir. I have my dad's business sign on my study door. Great image and story behind it. I like your processing also. Lovely shed. Brings so many happy memories to you all, I'm sure. Thank you to one and all for sending my mundane shed to the Trending page! I didn't really expect that and believe me with out the colors and textures this was a rather dull picture! I really appreciate your support of my project. I always look forward to my 365 time thanks to you! What a neat shot! 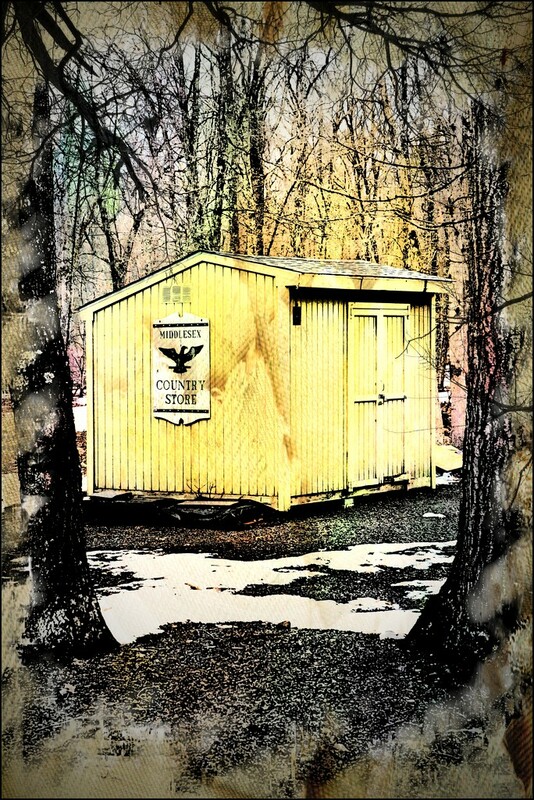 Your composition and editing make your shed really special. Like your father's sign, too. Perfect for the tag challenge. Love this shot and the sign story! Thank you Ferry, Diane, Henri, and Doreen! @summerfield thanks Vikki- not too many people can see this from the road. It's in the backyard. I suppose if they're driving really slow and happen to look down the neighbor's driveway they'd see it, but it's really more for me than anyone else. Of course it came in handy for the tag challenge too. @gardenfolk Thank you CC! Yes, I guess I do have an identifiable style although I don't consciously think of it.